The Police Integrity Commission (PIC) was established to ensure that NSW police officers and the police force as a whole acts ethically and with integrity. But the watchdog is itself facing criticisms of unethical conduct after it overstepped its powers by attempting to prosecute a number of police officers for drugs offences. The PIC is an investigatory body that was set up in 1996 to evaluate and investigate claims of improper conduct by police officers and members of the crime commission in NSW. It is independent of the police force, and is not authorised to bring about the prosecution of any officers it believes are acting unlawfully. The findings of investigations are supposed to be passed on to the Director of Public Prosecutions, who then decides whether or not to prosecute. In November last year, the PIC was criticised and accused of attempting to circumvent the process by bringing about a prosecution in Queensland using one of its investigators as a private citizen. 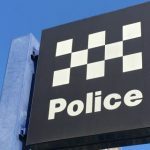 The case revolved around five current and former NSW police officers that the PIC investigated and believed were involved in recreational drug use and supply over a weekend away in Queensland in 2010. Why shouldn’t the PIC prosecute? The PIC is set up to deal with complaints and investigations against NSW officers. 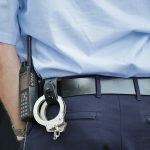 Queensland has its own police watchdog – the Crime and Corruption Commission (CCC). Once the PIC has investigated a matter, it is expected to pass evidence along to the relevant prosecuting authority, which will then determine whether or not to go ahead, based on the evidence and likelihood of success. 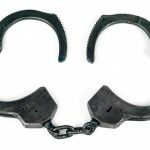 By taking matters into its own hands and bringing about a prosecution in this case, the PIC has been accused of overstepping its authority and the scope of its powers. 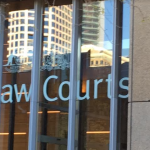 The PIC reportedly continued with the prosecution despite being told by the Queensland CCC that there was very little likelihood of a prosecution being successful. It was also criticised for bringing about a prosecution in Queensland, when its authority doesn’t extend beyond NSW. How was the PIC able to mount a case? As the PIC doesn’t have any legal authority to prosecute, the only way it could take the matter to court was to do so under the guise of a private citizen. Although a single investigator acting as a private citizen instigated the proceedings, the process was completely funded by the PIC. The magistrate presiding over the proceedings threw the case out, describing it as an abuse of process and stating that the investigator was being used as a tool by the PIC to circumvent the restrictions. The PIC was ordered to pay court costs. In its defence, the PIC claimed that it had been provided with new information by the Queensland Director of Public Prosecutions (DPP) which gave a more positive outlook on the evidence. 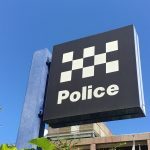 The PIC also claimed that the Queensland DPP had given the go-ahead to commence prosecution with the view that the proceedings would later be taken over by the Queensland DPP. It also claimed that going through a private citizen was the normal way that the PIC commenced prosecutions, and that this was nothing out of the ordinary. 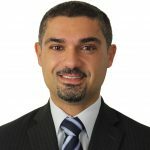 The PIC had previously commenced a prosecution against a person in Victoria through a private citizen, and a spokesperson for the PIC stated that it is considering appealing the Queensland decision. Greens MP David Shoebridge has requested that NSW Premier Mike Baird convene an urgent public hearing of the parliamentary committee responsible for overseeing the PIC, saying the watchdog should not be pursuing prosecutions at all. “This is meant to be an integrity commission dedicated to investigating serious police corruption matters but instead it finds itself operating beyond the limits that are imposed on it by the law,” he told the ABC. Considering that the PIC is supposed to uphold the integrity of the police force, the fact that it has been caught operating out of the limits of its authority is concerning, and does not reflect well on its integrity and ability to oversee the conduct of others.